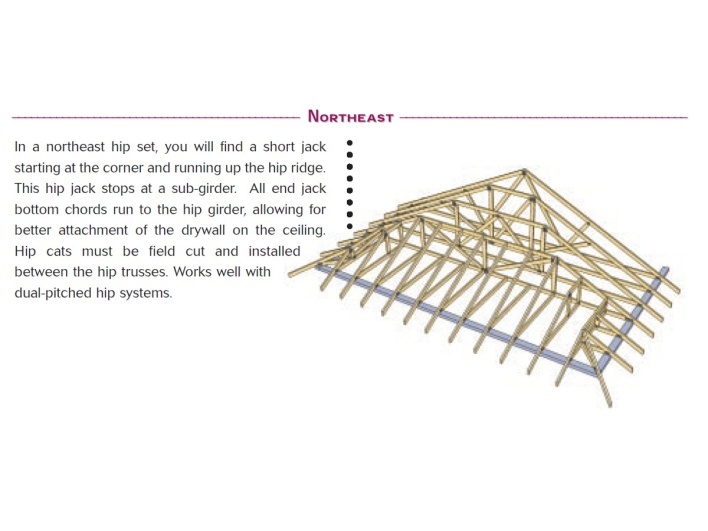 The Many Types of Hip End Conditions – Gould Design, Inc.
It’s been my experience in the truss manufacturing field that everyone has their own way of doing things; whether it be framing or laying block. 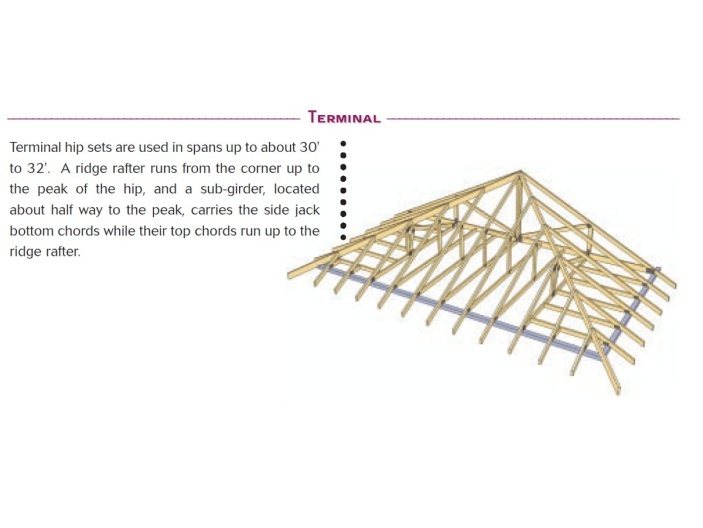 Hip truss systems seem to be no different. Region usually dictates what type of system is standard for framers to use, but it seems there are still variations on what they like in the field. Terminal hips seem to be the style I have seen the least of. 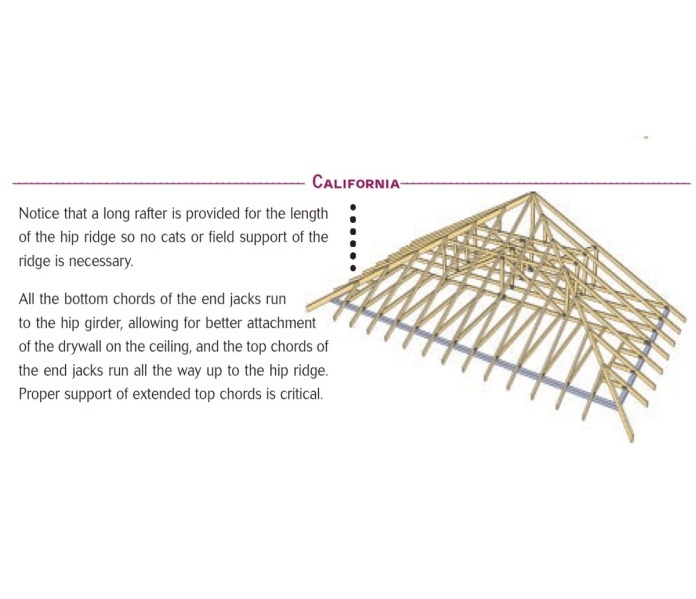 In my location in Virginia, the Northeast or Atlantic hip seems to be the system of choice, but dropped tops are optional, and we have even built drop in purlins like you would see in a Midwest hip set. I have designed Stepdown hips in Colorado and framers there would drop tops with ears and without. 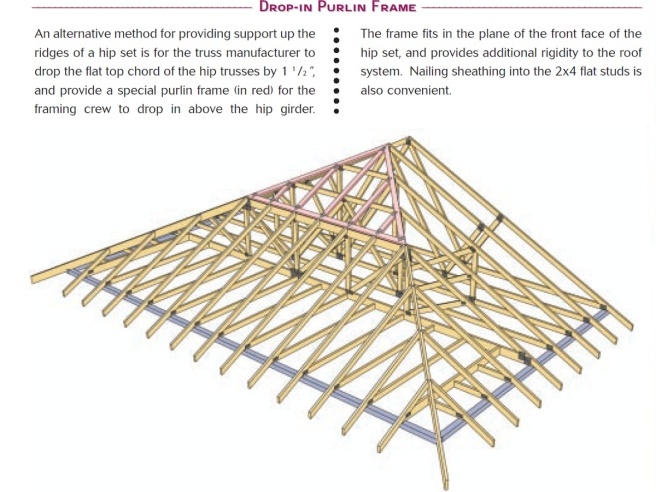 A lot of framers were there from California in the 90’s and didn’t like the way these hips were done since they were used to the California hip system that used more of a rafter style for the purlins. My question is has anybody looked into this in-depth to find out which is the most cost-effective both in truss pricing and labor time? I’ve seen other’s use the D.P.F. system, but most of the framers around here like the California style. I stick with a 6′ s.b. and post up the extended truss top chords. Every region is vaslty different, that’s for sure!